Alone on the frontier, family was all they had. Barbara Hershey (Beaches, The Last Temptation Of Christ) and Michael Anderson Jr. (The Sons of Katie Elder) star in the riveting Western drama The Monroes: The Complete Series. 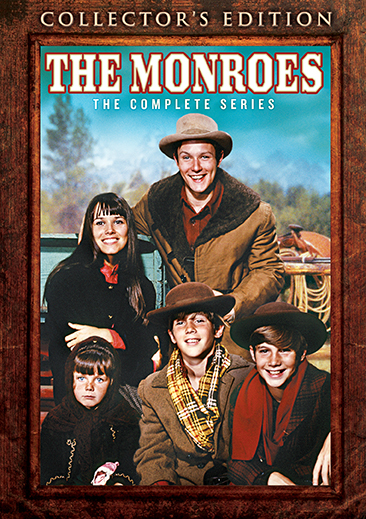 After an accident takes their parents from them, the orphaned Monroes – Clay (Anderson), Kathy (Hershey), Jefferson (Keith Schultz), Fennimore (Kevin Schultz) and Amy (Tammy Locke) – must fight to survive in the treacherous lands of Wyoming. Through their experiences, they learn that the unbreakable bonds of family and friendship can withstand the harshest trials that frontier life has to offer. 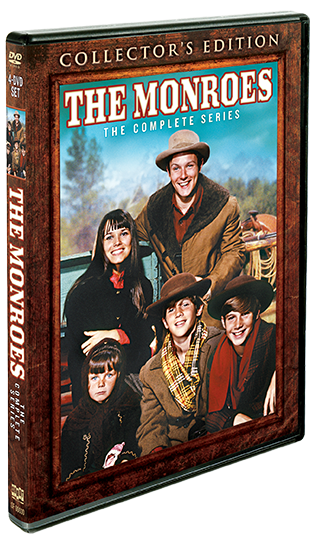 With guest appearances from Ben Johnson, James Brolin, Claude Akins, Ralph Moody, Warren Oates, Albert Salmi, James Whitmore, Ron Howard and more, The Monroes: The Complete Series is a terrific addition to your Western television collection!